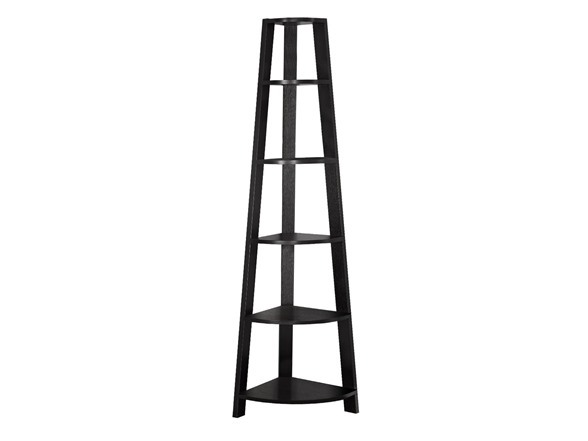 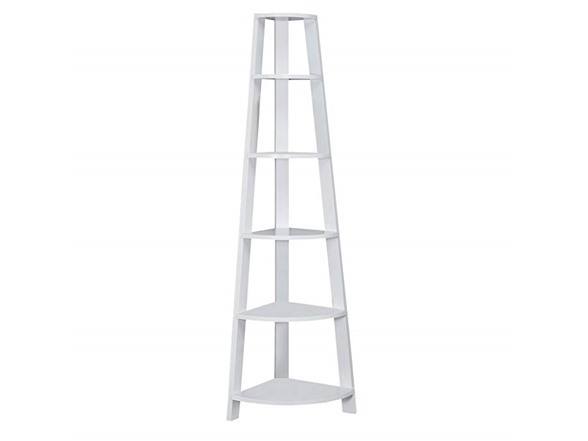 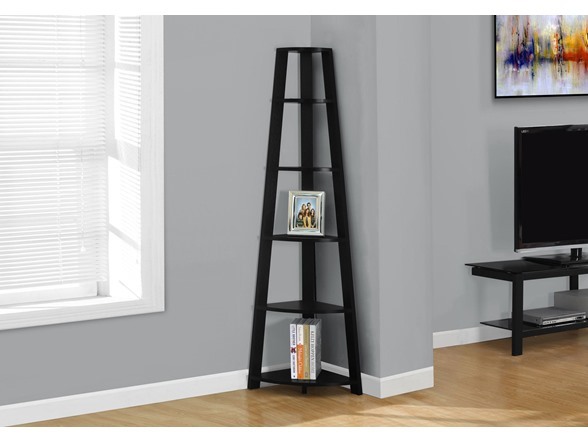 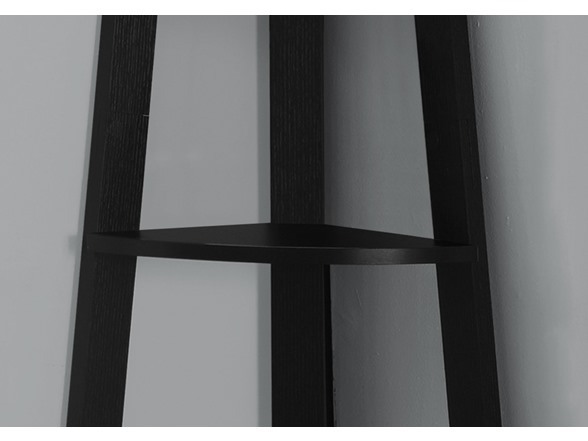 Add the perfect corner piece to any room with this black accent étagère complete with five tray style shelves. 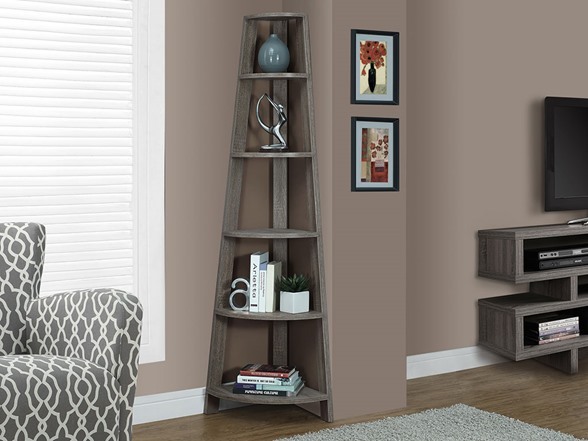 This contemporary piece that blends well with any decor, will provide you with additional display space without sacrificing style. 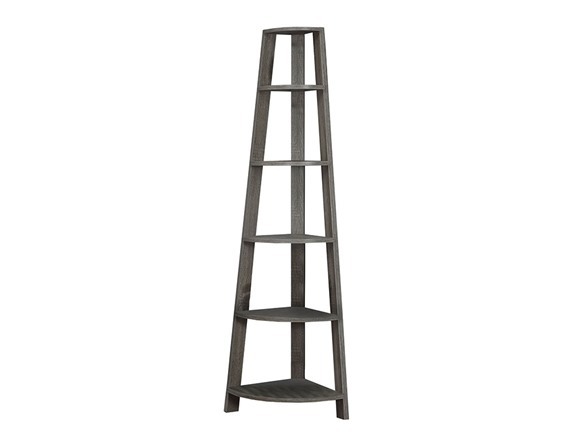 (1) Monarch Specialties Reclaimed-Look Corner Accent Etagere, 72"